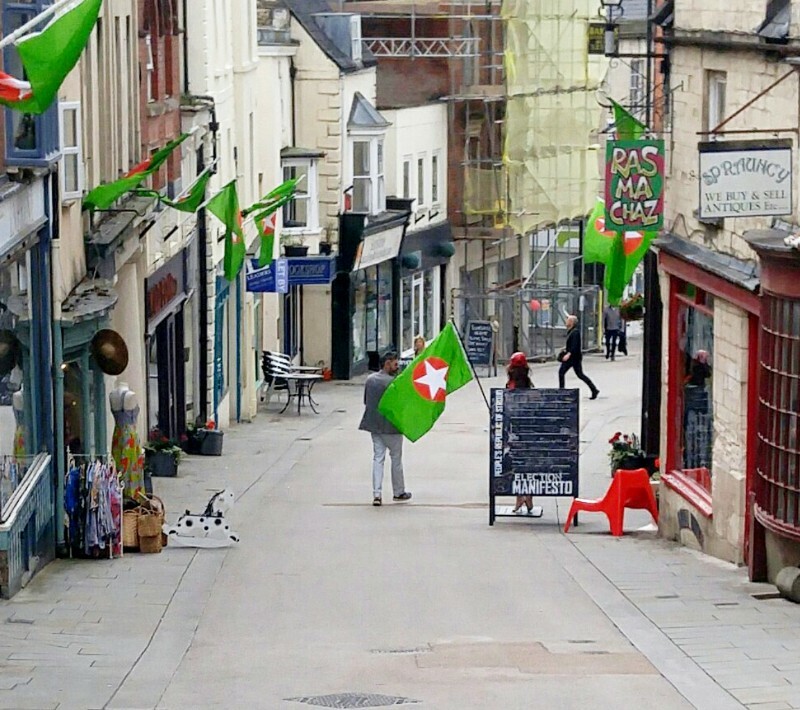 You’ve probably all seen the green flags with the red star in the middle flying up the High Street in Stroud and on various independent shops around town. Personally, I can’t see the big chains like Wilkos or Boots flying one any time soon. So what’s it all about? 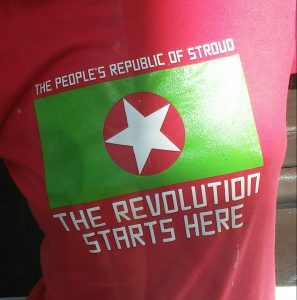 Is Stroud the centre of a huge revolution that’s going to topple the government any time soon? No, they do that themselves fairly often. He also said this on twitter..
As the flag is so prominent in town and is also on other items this is what their website says about it. The uniform comment is re cloth that used to be dyed in the Stroud valleys and hung out to dry on racks on the hillsides, hence the term Rack Hill over at Chalford. Five Valley Star: The ‘wonky’ star reflects the 5 valleys that lead to Stroud, the absence of flat gradients and the alternative nature of its residents. White the colour of example. A shining beacon of hope. Red: The colour of revolution, the worker and Stroudwater scarlet, uniform of the redcoats. Green: The hills that dominate our landscape, the eco credentials of this town and the billiard cloth that historically originated from these valleys. 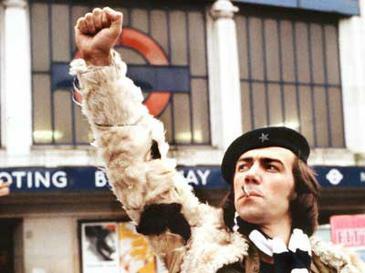 So there you have it, “Power to the People” as Citizen Smith used to say, before he ended up as a dentist in My Family. Website by Orangevalley Systems. Contact me via the contact form if you need any wordpress assistance or website work. All content (excluding the twitter feed) including photographs are copyright and may not be used without permission.